Ask fellow campers about "Ansel Watrous Campground, Roosevelt NF" and nearby attractions. This is a great place to camp if you're OK with dry camping, no water, no electric, no dump station. The turn off from highway 14 is a sharp curve, won't make it with long trailer. I have a small 26' motorhome. 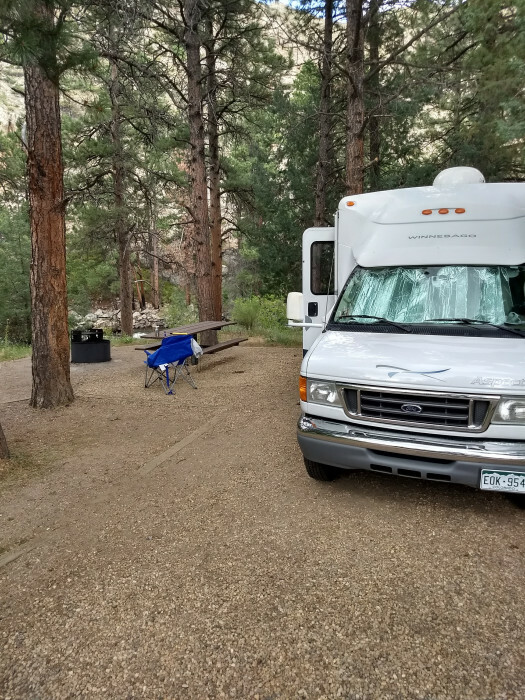 We camped at Ansel Watrous Campground, Roosevelt NF in a Motorhome. Very clean and organized. Lovely host site and the host couple was very friendly and informative. We first met them when we mistook the pump house for a bathroom, located at the other end of the campground. Apparently they have hosted there for about 5 years. The setting of the campground is very natural along side of a winding river. Fishing top notch. Hosts showed us the best spots for trout. We plan to go back this coming season. The spacing between lots is spacious and the lots are gravel with a covered, forested tree canopy. There is a fire ring and picnic table. 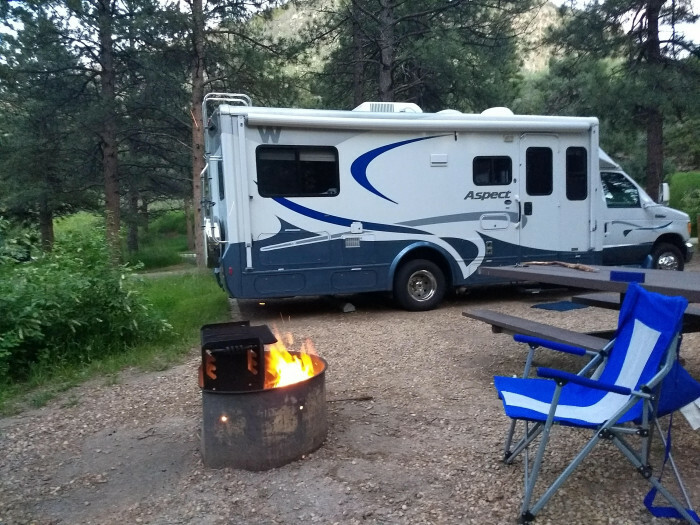 We camped at Ansel Watrous Campground, Roosevelt NF in a Motorhome. Mishawaka Restaurant couple miles west, very good food, reasonably priced, concerts in outdoor theater on weekends, outside deck on river. About 15 miles NW of Fort Collins. About 20 miles further west of campground is a very helpful Forest Service visitor center we learned about from host couple. 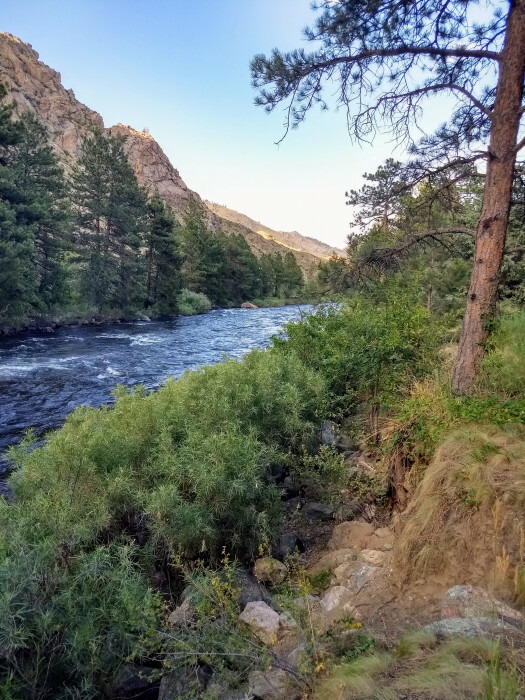 Ansel Watrous is the first in a series of NF campgrounds located along Colorado Hwy 14 as you drive up the Poudre River canyon from "Ted's Place". We stayed in the "upper loop" as it is more RV friendly. (The "lower loop" has a hairpin curve at the entrance that restricts access to shorter rigs.) 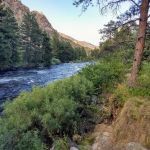 The lower loop had 7 RV sites and 3 tent sites, and each of the sites back to the Cache la Poudre River. The lower loop was long and narrow and sandwiched between Hwy 14 and the river. Fortunately the noise of the river masked the highway noise. We were disappointed that the Young Gulch trail, located just across the road was still closed due to the 2012 forest fires, but the friendly hosts directed us to the very pleasant Hewlett Gulch and Greyrock Mountain trails located down the road. Also located nearby is Mishawaka, where we had a very pleasant meal on their deck over the river. It is also a popular venue for concerts. The campsites were level and spacious. The hosts kept everything neat and tidy. Rafters use the river, and fishing is very popular. Our rate reflects the golden access discount. 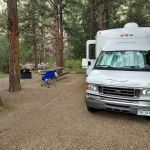 We camped at Ansel Watrous Campground, Roosevelt NF in a Motorhome. 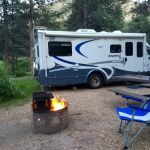 Are you affiliated with Ansel Watrous Campground, Roosevelt NF ?